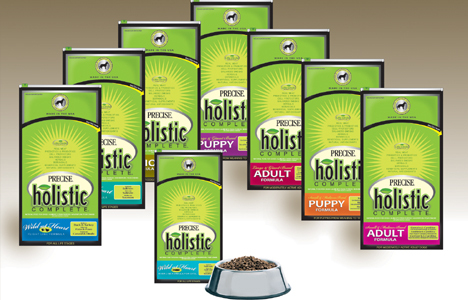 New Precise Holistic Complete is perhaps the healthiest dog food we’ve ever made. Everything in it is designed to promote health, happiness and harmony for a lifetime. Thoughtfully chosen ingredients like real meat proteins, wholesome carbohydrates, and balanced fatty acids and so much more. It goes down easy, too. In a recent palatability taste test, Precise Holistic Complete was preferred by dogs over similar formulations two to one. * In addition, human-grade ingredients such as DHA Gold for optimal omega-3 concentrations and a probiotic are setting new standards in pet nutrition. * Summit Ridge Farms Canine Palatability Assessment, May 2010. 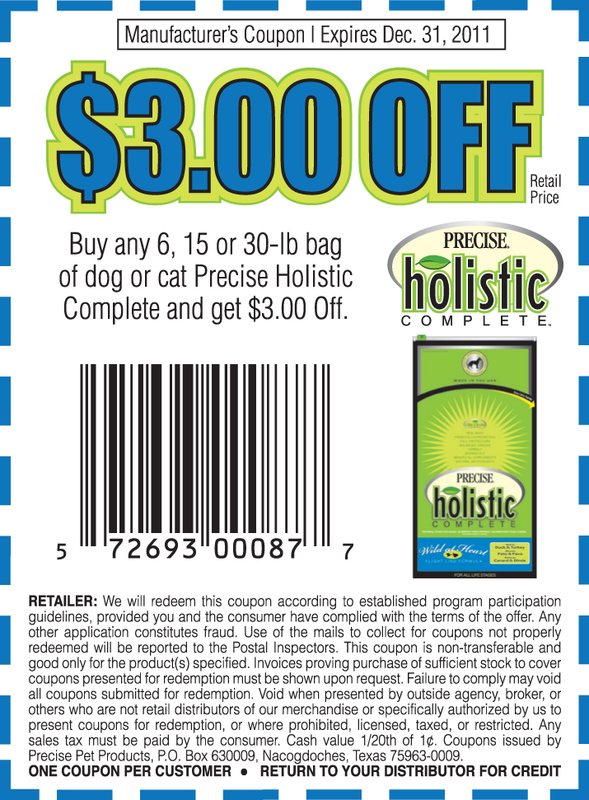 Visit your local Independent Pet Specialty Store to find great values on Precise Holistic Complete. To find a retailer near you, click to go to the Precise website.